GCC spec vehicle with 6 cylinder engine, beige interior and automatic transmission. 6 cylinder black 2017 SUV/Crossover. Black interior. ABS, 18 inch wheels and CD player. Price: AED 68,000. 2015 Nissan Pathfinder price AED 79,950, with bluetooth system, leather seats, sunroof. It has black interior and is Grey/Silver. Automatic 2015 Nissan Pathfinder with 20 inch wheels, CD player, analog clock, grey interior, white exterior. GCC spec. GCC spec Pathfinder from 2014 with a 6 cylinder engine. Grey/Silver SUV/Crossover with other color interior. It has fog lights and airbags (front and side). GCC spec vehicle with 6 cylinder engine, black interior and automatic transmission. 2015 Nissan Pathfinder with parking sensor rear, power seats, tuner/radio. It has beige interior and is Brown. 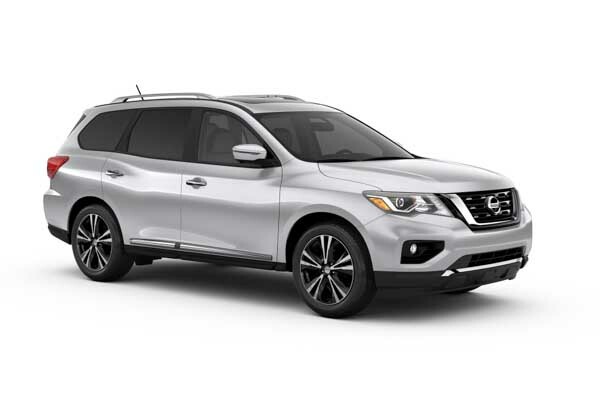 Automatic 2018 Nissan Pathfinder price AED 99,900, with 18 inch wheels, USB, 4WD, beige interior, grey/silver exterior. GCC spec. This is a black SUV/Crossover with beige inside and airbags (front and side), air conditioning and 18″ wheels. AED 141,900 for this Automatic Nissan Pathfinder with 20 inch wheels, CD player, airbags (front and side), beige interior, white exterior. 2018 Nissan with CD player, leather seats, MP3 interface. Grey/Silver with beige interior. GCC spec Nissan with Air conditioning, 18″ wheels and Sport package. Price reduced! GCC spec Nissan Pathfinder with USB, 18″ wheels and 4WD. Price reduced! White SUV/Crossover, beige on the inside with CD player and roof rails. 18″ wheels. GCC spec Nissan Pathfinder with ABS, 20″ wheels and 4WD. Price reduced! GCC spec Nissan with 4WD, 16″ wheels and Power locks. Price reduced! Opportunity! A 2014 white Nissan Pathfinder V6 4.0 now available at a reduced price. 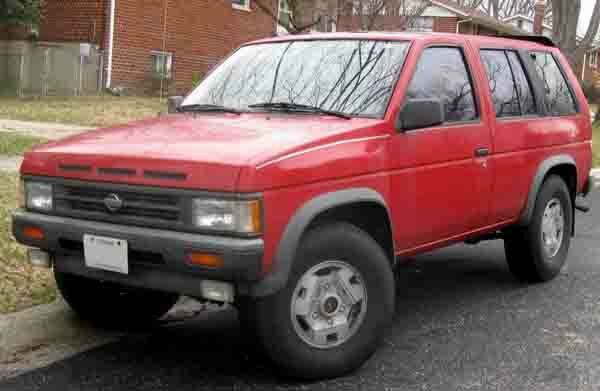 GCC spec Nissan with Power locks, 19″ wheels and Power windows. Price reduced! 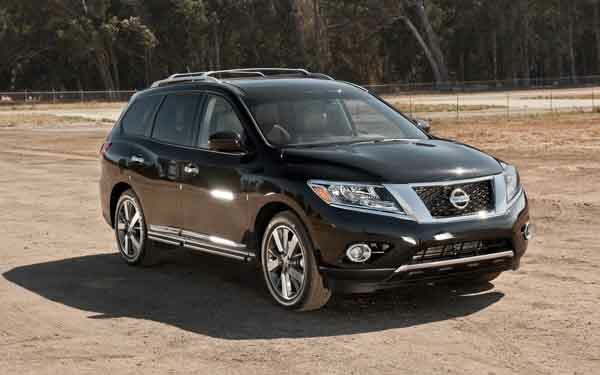 GCC spec Nissan Pathfinder, black SUV/Crossover with beige interior. It features xenon headlights, 18 inch wheels and CD player. GCC spec automatic, 18 inch wheels, 4WD, power windows, beige interior, grey/silver exterior. Automatic 2018 Nissan Pathfinder with 18 inch wheels, climate control, rear camera, beige interior, grey/silver exterior. GCC spec. Automatic, 18 inch wheels, airbags (front and side), tuner/radio, beige interior, black exterior. 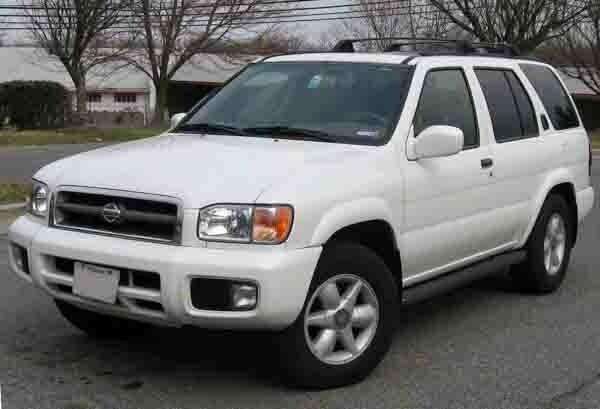 Automatic Nissan Pathfinder with 18 inch wheels, differential lock, power windows, beige interior, black exterior. 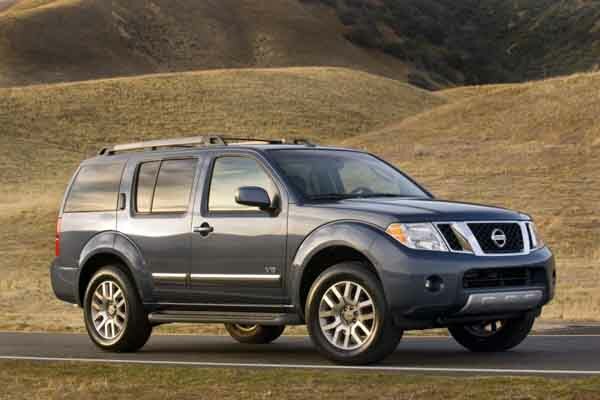 Nissan Pathfinder with many features, including keyless go, power locks, differential lock. Black with beige interior. 2018 Nissan Pathfinder with features such as parking sensor rear, climate control, xenon headlights. It has beige interior and is Grey/Silver. GCC spec. Grey/Silver 2018 6 cylinder SUV/Crossover. Beige interior. It has alarm and bluetooth system. Imran - When it came time to buy a 4WD drive it was either Nissan or Ford. Eventually, a second hand Pathfinder SE won as it was for a better price and I’m glad I choose this one. The interior quality is perfect as are options to keep everyone happy. Pros: Build quality and engine. 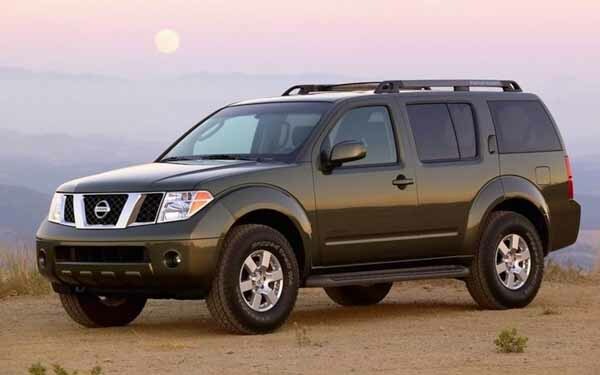 Khalifa - When I buy import Nissan Pathfinder SV, I was very worried about the paint work and body damage. But for the price I paid I was very happy to see none of this had happened. Amazing cars and plenty of space for family and friends. It may be used model, but it still runs like new. Pros: Reliability, engine and space. Riaz - My family decided to buy a pre owned Nissan Pathfinder SL for sale in Dubai, It’s the perfect car to travel the UAE as it’s comfortable, has lots of rooms and all the right options to keep everyone busy. In the latest trim, it looks great too. Pros: Space, price, options and style. Nissan’s brand name can be seen and heard around the UAE and Gulf states to its reliable nature. It holds excellent resale value in the region meaning it’s easy to find a buyer for a pre owned Nissan Pathfinder for sale in Dubai, UAE. If you can’t find a buyer here, export markets are lucrative as well. It can fit up to seven people depending on what generation you purchase. Infiniti made a luxury version called the Infiniti QX4 that has multiple uprated features. Over the years, a V6 engine remained the norm but during certain eras, a V8 and inline four are available for extra power and fuel economy. Making its debut in 1985 as a compact SUV, these cars slotted in below the iconic Patrol and is priced similarly to the Murano and Xterra. Starting off as a box on wheels, as the years progressed are rounder shape started to form giving the model a unique shape until its final generation where it created a similar outer shell to the X-Trial and Murano. Road Rivals:Ford Explorer, Honda Pilot and the Mazda CX-9. During the first half of its first generation, the SUV was made available in a two-door setup exclusively with a four-seat configuration. In certain parts of the world including here in the GCC, these cars were marketed as the Nissan Terrano. Inside, fabric seats with manual adjustments, radio tuner and air conditioning were standard. For those looking to splurge some extra cash can find versions with a sunroof, CD player, powered accessories and cruise control. In 1990, the vehicle not only received a facelift, but they also sprouted two extra doors at the rear with hidden handles which stuck with the vehicle to date. The facelift included a new front grille without the Nissan lettering instead going for a simple logo adorning the front end. Lights were slightly modified as was the rear end to accommodate the new doors. 1993 saw the cars receive an additional brake light and in 1994, a new dashboard was made available. Two petrol engines are available throughout these years, an inline four cylinder 2.4-litre and a V6 3-litre mated to either a rear wheel drive or four wheel drive layout with power being diverted through a manual or automatic gearbox. Entering its second generation, the SUV received rounder edges on top of the boxy shape that remained. Once again available in a four-door setup the majority of the vehicle is brand new with very few remaining parts transitioning across. Standard features remained similar to the previous years with a few small changes. Higher trims also remained identical with roof rails being added to the options list along with a rear spoiler and unique rims. In 2001, the cars received a new front grille with the updated Nissan logo and a bar that now runs the entire grille mounted in the middle. The petrol four-cylinder petrol model was dropped in this era with only the V6 returning with two displacements ranging from 3.3L to 3.5-litres. Drive continues to be sent to all four wheels or the rear wheels depending on trim. Entering it's the third generation, the SUV received another overhaul once again. The box shape is still visible, but the rounded edges are here to stay. The brand’s iconic chrome “V” presents itself on the front end along with a host of new trim pieces including the branded roof rails, lights both front and back and rim designs. The interior received a slight refresh as well with new options joining the ranks including leather seats, powered features, a navigation system, Bluetooth connectivity, BOSE premium sound system, media inputs and climate control. Most of these features were made available through the vehicle's new media interface. In 2006, the third-row seating became an option and had continued ever since. 2008 saw the vehicle receive a minor touch up mostly visible on the rear tailgate, and various badges were moved around. Optionally, a V8 5.6-litre petrol motor was made available to take over from the V6 if it was too sluggish. Standard models received the V6 that had now increased to a 4-litre displacement. It could either be mated to an automatic or manual gearbox. Rolling into its fourth generation or R52, the SUV morphed into a rounder body and sported inspiration for models to follow. Gone are the branded roof rails which were replaced by standard ones. Inside options remain once again and are now embedded into an all-new interior with fabric materials covering the seats as standard. Other base options include a CD player, radio tuner, airbags, ABS, 17-inch rims on each corner and power accessories. The addtional extras list continues on form the prevouis generations with the likes of leather seats, navigation, media inputs, premium sound system and Bluetooth connectivity. Various safety features are available too, parking sesnors, multiple airbags, multiple cameras, lane keep assist, blind spot detection, stability control amongst others. In 2014, the cars received a major overhaul; this included an array of features being made optional in several trims including the S, SV, SL and Platinum. Base trims of the vehicle swapped to a front wheel drive setup instead of the previous rear wheel drive setup used in previous generations. Once again the V6 returned with a lower displacement this time of 3.5L and much like the Murano that followed in the same shape, a 2.5-litre hybrid four-cylinder petrol engine. For the 2017 model, the front end was changed ever so slightly as were the headlights mounted on either side while a range of new colours was added.